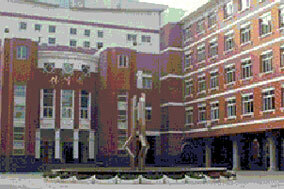 Dalian Medical University (DMU) was founded in 1947, originally known as Guandong Medical america.html. In 1949, it joined with Dalian University and the name was changed into the Medical america.html of Dalian University. In 1950, the organizational system of Dalian University was cancelled and since then Dalian Medial america.html had become an independent america.html. In 1969, the america.html moved to Zunyi, a city of Guizhou Province, to establish the Zunyi Medical america.html. And in 1978, the america.html moved back to its original location in Dalian, still with the name of Dalian Medical america.html. In 1994, approved by the State Education Commission (SEC), DMU adopted its present name. Nowadays, the university has fledged into a multi-disciplinary medical university which also offers programs in other fields like arts, science, management, and law. 1. Enrollment: Domestic students: Dlmedu enrolls students from all parts of China..The number of students enrolled is stipulated by the Ministry of Education.Students enrolled should pass the Unified National University Entrance Examination and get the scores set by Dlmedu. Foreign students: The university can enroll foreign students, including undergraduates, vocational trainees, graduates, students of continuing education and the students who aim to learn Chinese language. Foreign students at all levels should submit the application forms and all the related certificates. Students who conform to the university stipulation will be admitted Foreign students pursuing academic degrees should have a corresponding, indicating their Chinese proficiency. 2. Entrance: With the admission notice and the related certificates at the time specified, students to be enrolled by Dlmedu should go for registration and pay the tuition fee. They will not be admitted until passing the physical check-up. The qualification of those who failed to attend school on time will be rescinded. 3. Scholarship : Once a year according to the comprehensive evaluation, especially study evaluation. Dalian Medical University offers a chiefly 5-year training program for medical students and a 3-year program for graduate students. The continuing education of Dlmedu has been developing very successfully. After over 50 years' endeavor, a series of well-structured disciplines with distinctive features has been established. There are 12 undergraduate specialties each with its own training objectives. The teaching and learning environment is nice. There are 12 colleges, 4 teaching departments, 3 divisions and 33 off-campus teaching bases , offering 58 major courses. Dlmedu aims at training qualified medical doctors and scientists and technicians of the 21st century. Founded in 1952 with the old name of "Basic Division" till 1996, got the present name thereafter. CBMS is comprised of 12 departments of basic medical sciences (they are departments of: Medical Biology, Human Anatomy, Histology and Embryology, Physiology, Biochemistry and Molecular Biology, Microbiology, Parasitology, Pathology, Pharmacology, Pathophysiology, Microecology, and Hygiene) and the Department of Foreign Languages, and a Center of Instrumental Analysis. One characteristic feature of Dlmedu is her integrated laboratory of physiology, pharmacology, and pathophysiology, and it is included in CBMS. In CBMS there are 215 faculty and staff members, including 30 professors, 48 associate professors and 45 lecturers. CBMS has been authorized to offer PhD degrees in biochemistry, physiology, and pathophysiology with 10 tutors of PhD candidates, MS degrees in human anatomy, histology and embryology, physiology, biochemistry and molecular biology, microbiology, parasitology, pathology, pharmacology, pathophysiology, and hygiene with 31 tutors of MS candidates. CBMS has 21 research branches working on different disciplines which all belong to the Research Institute of Basic Medical Sciences (see below). In recent years over 100 research fundings were obtained by fierce competition from State (National Natural Science Foundation of China), provincial, and municipal sources. In recent years, 82 research papers were published abroad in international journals, and 1238 research papers in domestic journals, a total of 78 scientific research and 9 teaching accomplishments were awarded different prizes by the state, provincial and municipal authorities. Founded in 1985, with a staff of 80 members including 19 full and associate professors. Sixty four freshmen are recruited each year. Five department are included in this school, they are: basic stomatology, surgical stomatology, internal stomatology, repair stomatology, and orthopedic stomatology. It is equipped with many sophisticated surgical instruments. In recent years, 18 research projects have been funded from state, provincial and municipal sources. Founded in 1987, and was the first america.html offering program for vocational training. Entitled to offer a 3 year training program in 1993, and a 5 year program in 2000. Teaching is divided into basic and clinical departments. Basic teaching is accomplished by the department of basic cosmetological medicine and two basic laboratories (ie, hair-beauty and make up, and skin caring). The courses opened include Cosmeto-psychology, Hair-beauty and Making-up, Fashion Aesthetics, and Art. Clinical training is accomplished by Department of General Clinical Cosmetology, and by Departments of Medical cosmetology (including Dept. of Surgical Cosmetology, Dept. of Pharmaceutical Cosmetology, Dept. of Physical Cosmetology, Dept. of Jing-luo Cosmetology, and Dept. of Exercising Cosmetology). The faculty of this school are well qualified and some of them are visiting professors from Japan, Taiwan, and Hongkong. The present enrollment is 484 students, and nearly 300 students have already graduated. Founded in 1985, and now has 21 full and associate professors. Five hundreds of students have graduated since 1985, and a total of more than 2000 health administrators from other provinces have been trained by this school. Now it is entitled to offer master's degrees in 2 specialties. From 1998 on, the school has started to cooperate with Dalian america.html of Foreign Language to train students. In the same year, the school signed an agreement with New York State University at Buffalo to establish the Institute of Health Economy and the Institute of Behavioral Medicine. It has two specialties including Health Management, and Medicine Marketing. The courses opened include health management, health economics, epidemiology, health statistics and maths, medical ethics and psychology, and marketing of pharmaceutics. The enrollment is 200 in 1999. Founded in 1987, now has 40 dept members including 10 professors, 11 associate professors. Sixty four freshmen are recruited each year. It is entitled to issue MS degrees in biochemistry, immunology, hematology and medical diagnosis. There are 8 divisions, they are: medical physics, medical chemistry, clinical biochemistry, clinical microbiology, clinical hematology, clinical immunology, first and second departments of clinical laboratory diagnosis. 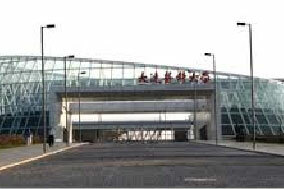 It has one continuing training center, and 6 practice bases for undergraduates. The main research areas cover the molecular biology of tumors, and the innovation of diagnostic techniques. Set up in 1993 with a teaching staff of 27 members of whom 8 are full professors and associate professors. It is divided into 3 teaching sections: pharmacy, pharmaceutics and clinical pharmacology. It enrolls 32 to 64 students yearly. The main disciplines are clinical medicine and pharmacology. And the main courses are pharmaceuticalchemistry, druganalysis clinical pharmacology and pharmacokinetics. Set up by Dlmedu and Japanese-China Friendship Association in 1993.The main courses are art photography, advertisement photography and portrait photography. Visiting experts from home and abroad are often invited to give lectures here. It enrolls 32 students yearly from all parts of China. Set up in 1993 with a teaching staff of 54members, of whom 12 are full professors and associate professors. It is divided into 2 teaching sections and a reproduction research group and a genetic laboratory. The main courses opened are obstetrics, gynecology, reproduction endocrinology, perinatal medicine, eugenetics, female health care, family planning. It enrolls 32 students yearly. Set up in 1986 with 14 teaching members among them 7 are full professors and associate professors. It is divided into 7 teaching sections. The Dept. offers 23 main courses for students of all levels. They are philosophy, economics , law, music, art and Chinese etc. It has a teaching staff of 17 members 8 of them are professors and associate professors. The main courses offered are track and field, balls, gymnastics, swimming and skating. Set up in 1999 and the first enrollment began the same year.It is located in a beautiful beach, with the construction of 19,000 square meters and equipped with 2 A.V classrooms. The total number of the first enrollment is 486 majoring in three specialties. The period of schooling is 5 years. The enrollment of graduates began from mid-1950's. There are 716 graduates(34 doctors and 682 masters)in total who achieved doctor or master degrees.We have 4 departments entitiled to give doctorate and 29 departments entitiled to give mastership.13 professors are qualified to supervise Ph.D candidates and 151 professors are qulifieied to supervise master degree candidates .32 doctor degree students and 580 master degree students are studying in our university.